Tales of the Cocktail has announced their annual Spirited Awards 2017, honouring the world’s best cocktail bars. And London has done rather well. London scooped a number of the top cocktail slots – making the city one of the best destinations for the perfect cocktail. Held in New Orleans, the annual cocktail-fest saw London’s Dandelyan bar in the Mondrian Hotel on the South Bank scoop the very best cocktail bar in the world award. Run by Ryan Chetiyawardana within the swanky Thames side hotel, Dandelyan won three awards: best international bar team, best international hotel bar, and the world’s best cocktail bar. The news comes after Dandelyan came third place at last year’s World’s 50 Best Bars awards 2016, behind The Savoy’s American Bar (Number 2) and New York’s The Dead Rabbit Grocery & Grog (Number 1). London has always been synonymous with the glamour of a hotel cocktail – with places like the Ritz and the Savoy havens for London’s bright young things to party the night away. But recent years have also seen a new breed of cocktail bar popping up across London, that takes swank, style and science to new levels to create some of the world’s most impressive (and delicious) drinks. 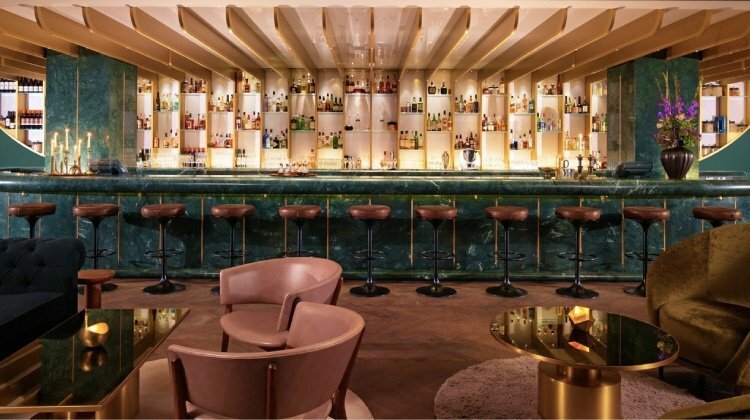 Other London bars that did well at the Spirited Awards this year include Trailer Happiness in Notting Hill, awarded best international high volume cocktail bar, and Swift in Soho, named best new international cocktail bar. The Tales of the Cocktail Spirited Awards recognise the year’s best bars, bartenders, writers and experts, voted by a panel of more than 100 industry experts. Last year, the World’s Best Bar award went to the The Connaught Bar at the Connaught Hotel in London. Here’s what London won – and the best bars you should be heading to for a well deserved sip of liquid heaven.